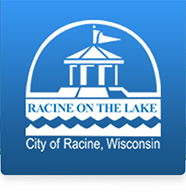 The Department of public works is collection of departments that provide a direct service to the City of Racine residents by maintaining various pieces of infrastructure around the City. Below you will find the major departments and a brief description of the service they provide. The Fueling Facility provides fuel for all City-owned and operated vehicles. posted on Thursday, April 04, 2019.
posted on Thursday, January 31, 2019.
posted on Sunday, January 27, 2019. UPDATED: A Snow Emergency has been declared for the City of Racine. posted on Sunday, December 16, 2018.
posted on Monday, September 10, 2018.
posted on Friday, August 31, 2018.
posted on Wednesday, June 06, 2018. The City of Racine Department of Public Works will be hosting a Free Drop-Off event on June 30th. posted on Tuesday, March 20, 2018.
posted on Thursday, December 07, 2017. The department of Public works would like to introduce their new Solidwaste/Recycling lookup tool. posted on Monday, December 04, 2017.